T o be a mobster in New York is to be a celebrity. Mafiosi are the psychopaths with a fan base. And vile as their actions have sometimes been, it has to be said that as dramatis personae, they’ve rarely disappointed. This past season has been especially fine, with a cast and plot turns that Sopranos creator David Chase must have envied. 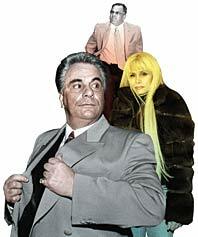 New characters included John Gotti Sr.’s buxom former mistress, who played against his tough, unflappable, somehow tragic wife. Then there was his 19-year-old love child, who looks just like him and seems to be just as tough. Plus there was the victim, Curtis Sliwa, founder of the Guardian Angels and right-leaning radio-talk-show host, the sort of person whom a lot of people may have wanted to whack. But the best plot line was father and son. “My father, he was the consummate tough guy,” Junior told the Daily News. “If he saw [his lawyer] shake hands with prosecutors … he’d say, ‘You do that again and I’ll throw you off this building.’ ” But Junior, according to Junior, was different. This was, in fact, his startling defense: Junior wanted out. And his father? “I know my father loved me, but I got to question how much, to put me with all these wolves,” Junior admitted. “My father couldn’t have loved me, to push me into this life.” You can’t make this stuff up.